Colonel Thomas Pride was central to one of the English Civil War's key events: the arrest and exclusion of 140 Members of Parliament at Westminster in December 1648. Those that remained in the House of Commons – the Rump – voted to bring King Charles I to trial, resulting in the first and only public execution of a British Monarch. But while this monumental episode of early modern history - “Pride's Purge” - is renowned, the life of the army officer behind it remains shrouded in obscurity. 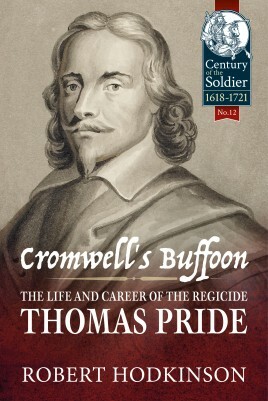 Cromwell's Buffoon is a detailed and engaging account of the life of soldier and regicide, Colonel Thomas Pride, a Somerset farmer's son who fought his way through the Civil Wars to become one of the English Commonwealth's most forceful personalities. Robert Hodkinson's lively and authoritative study charts Thomas Pride's rise from businessman and brewer, through his association with London Puritanism, the experiences of the seventeenth century battlefield, obtaining military command through army mutiny, to finally brushing aside accusations of hypocrisy self-gain to claim ownership of a former Royal estate and a seat in Oliver Cromwell's House of Lords. Cromwell's Buffoon is a ground-breaking examination of why and how a former apprentice boy rose in status to challenge the ruling elite and affect the death of a monarch. The first full-length biography of its subject, it is a fascinating story of a man who, until now, had all but vanished from history. Robert Hodkinson graduated from the University of Derby in 2010 with an MA in Humanities, winning the vice-chancellor's prize for his dissertation on contemporary poetry of the First World War. His particular interest in the English Civil War was sparked by his role in the Sealed Knot battle re-enactment society, in which he regularly portrays a Parliamentarian musketeer in the regiments of Lord Grey and Colonel Thomas Pride. He is the author of numerous articles, both online and print, on the culture and the lives of ordinary people during the English Civil War. He is the author of a prize-winning poetry pamphlet, Malvern Gibbous (2013), and lives in the East Midlands where he works as a teaching assistant. "Hodkinson has managed to bring to life a forgotten participant of the English Revolution. 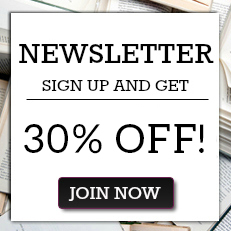 The book combines political, social and military history. It is hoped that this book gets a wide circulation and should be on university reading lists."